10m of Vintage Style Par Avion Cotton Tape. 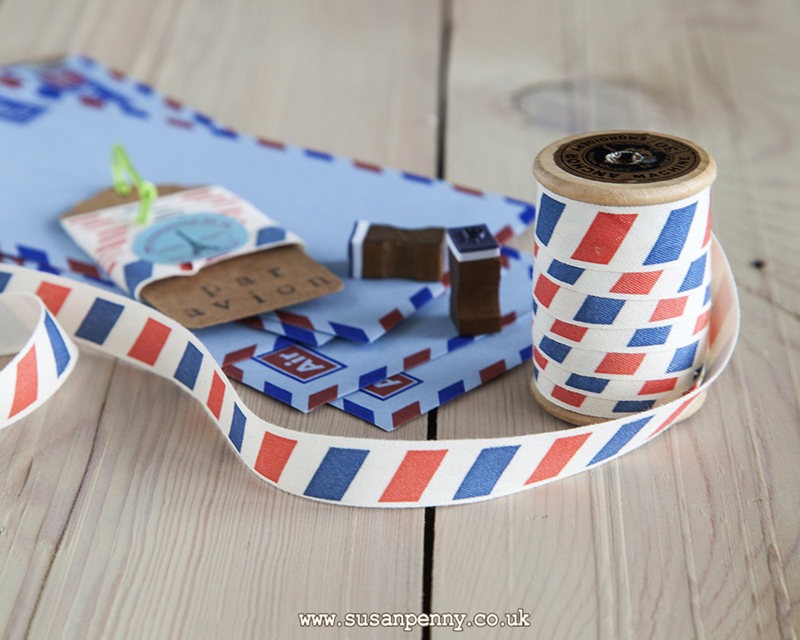 This lovely air mail ribbon is very retro in style, making you think of the 1930s and the golden age of flying. The world at that time was just coming out of economic depression and the Pan American Airways Clipper “flying boats” were a symbol of this new era. Letters were taken across the world and somehow gathered up a little of the ‘romance’ of the moment. This ribbon would look wonderful used at a wedding, to tie gifts, to decorate the wedding table or to create place tags…bringing a lovely feel to the occasion. 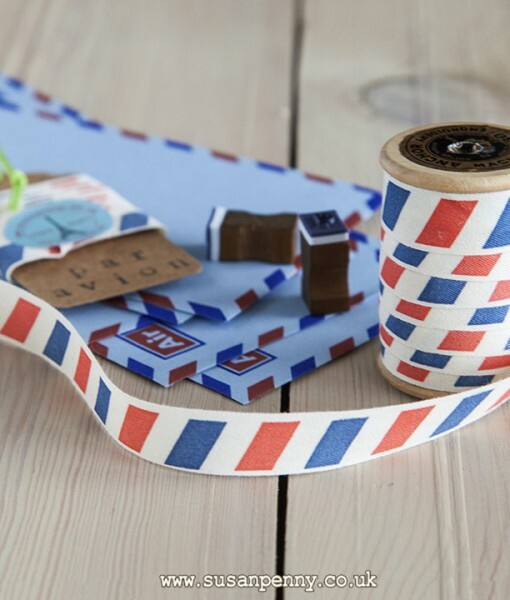 This ribbon comes in one 10m length on a Kraft paper tag stamped ‘Par Avion’. We have several other very pretty ribbons available to buy in our shop. Please do take the time to look through the selection available. Please do contact us if you need a different length. We would be more than happy to help.